Even up to the 1990s encryption remained the province of banks, security agencies and technogeeks. This is not surprising as very little was taught about encryption which was largely the province of electrical engineers because software implementations were very slow. However, industry has moved on. New regulations such as the General Data Protection Regulation (GDPR) point to the use of encryption to protect both personal and corporate data. As the number of installations increases so requirements to have a strategy to manage encryption increase. At the same time budgets become tighter and there is increasing demand for ready packaged solutions that can reduce cost. 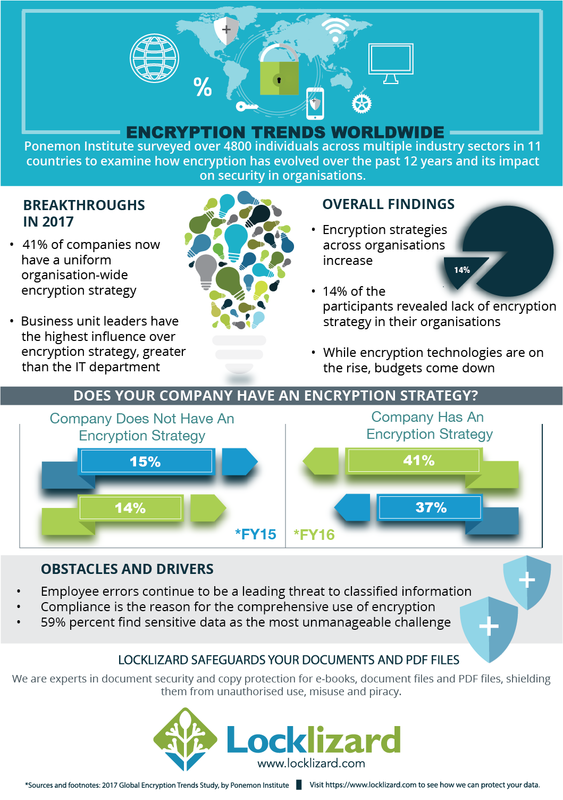 Learn more about encryption trends worldwide in this infographic by Locklizard.